WIN A Cuzo Leather Handbag + Other Prizes From Zalora! Want to win everything in the photo above? 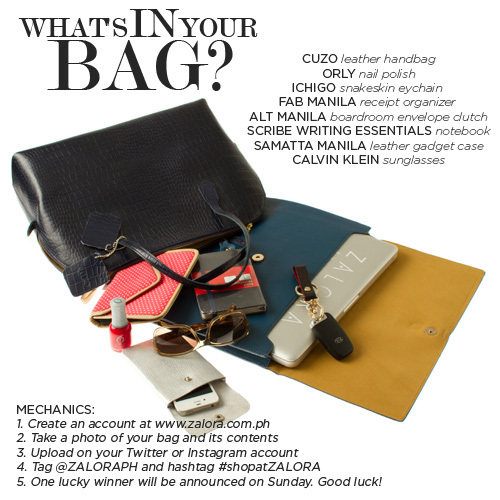 Then join Zalora's What's In Your Bag Contest! One lucky winner will be announced on Sunday. Good Luck!